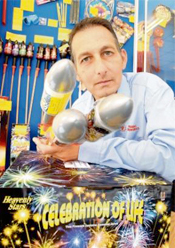 Heavenly Stars Fireworks are the market leader in the incorporation of ashes into fireworks. 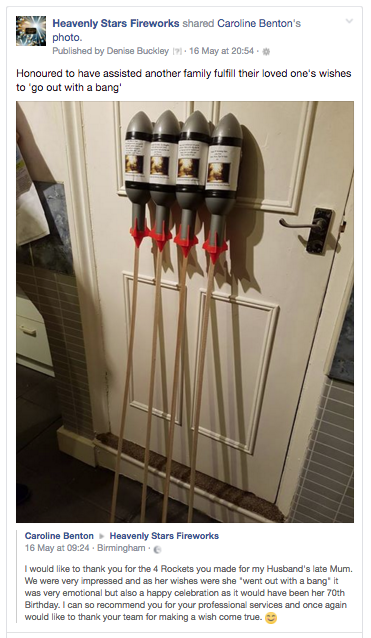 Established since 2007 our family-run business has built upon the success of our professionally fired corporate, wedding firework displays and retail firework business to bring scattering ashes with fireworks into the public eye. We have over 20 years’ expertise and knowledge of the fireworks industry and as one of the leading fireworks companies in the UK, our aim is to give you and your loved one a fitting and wonderful tribute to life. 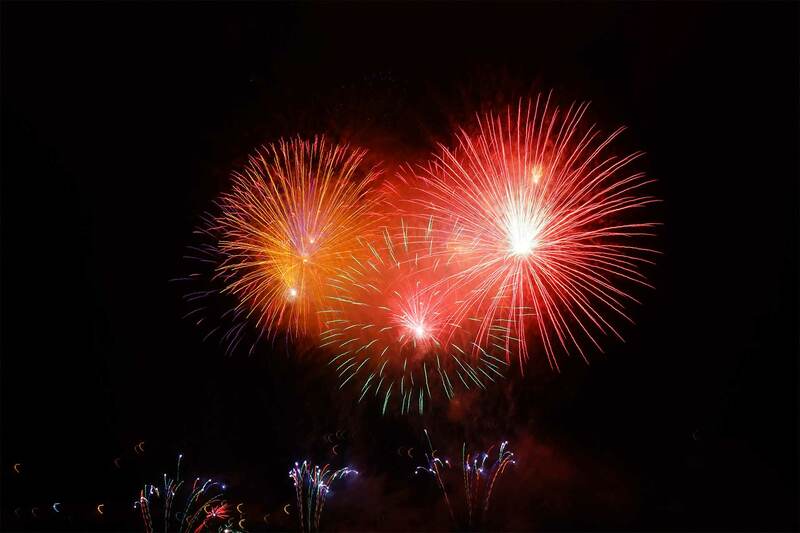 Our range of spectacular self-fire fireworks have been specially designed to incorporate part of your loved one’s ashes for you to fire at your own convenience in a favourite location and can be sent too much of the mainland UK for your ease. Safety is our paramount concern and naturally, we comply with the most stringent United Kingdom and European regulations and have full public and product liability insurance to ten million pounds sterling. 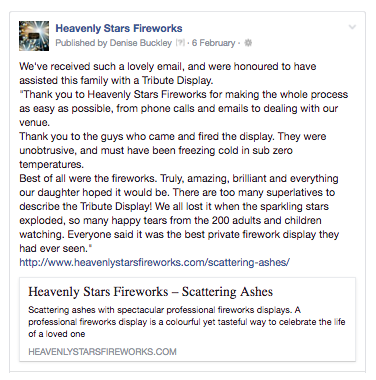 We supply all our self-fire firework tributes with all the safety information required to send your loved one’s ashes into the heavens. For professional memorial firework displays our firers have been trained to the highest standards and all are qualified to Level 1 or Level 2 of the British Pyrotechnists Association training scheme, as well as our staff containing three BPA qualified lecturers. The cost of our professional ashes firework service are fully inclusive of all correspondence, technical discussion and design and includes all materials, equipment and hardware for setting up and firing professional memorial firework display.